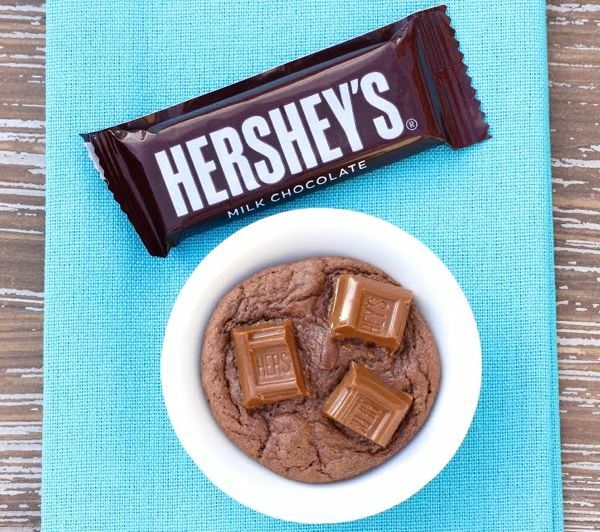 These Hershey Cookies aren't just your regular chocolate cookie. They're soft, gooey, and absolutely divine! Unwrap all of the snack sized Hershey Bars and cut into small pieces. Carefully stir in Hershey Bar pieces, and mix well with spoon. Form rounded balls and place on ungreased nonstick Cookie Sheet. Bake for approx. 7 – 9 minutes at 350 degrees, or until done. ENJOY!